At The 147th Open at Carnoustie, Xplore Dundee celebrated a successful Park & Ride operation, carrying more than four times the population of Carnoustie itself to and from the golf Championship. Xplore Dundee and the National Express colleagues from the West Midlands teamed up for the delivery of this service, from practice days straight through to the closure of the competition. 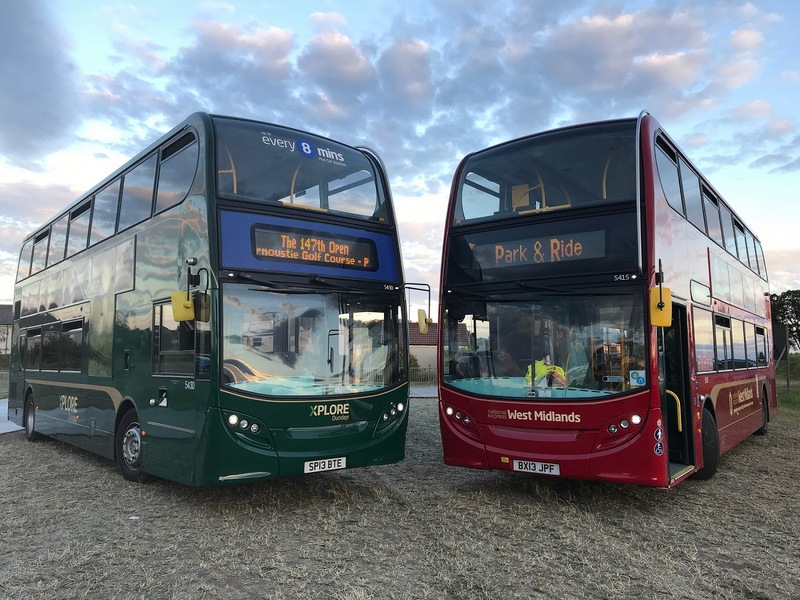 This successful collaboration managed to provide spectators with buses running every five minutes from two sites on the outskirts of the town to a drop off/pick up point at Kinloch Street. Across the whole week, there have been over 90,000 journeys, which is the equivalent of 45,000 passengers. At the peak times on the Saturday evening, the bus team managed to move 2000 people in 40 mins, with a maximum waiting time of just 6 mins from 19th Hole to boarding the bus. Meanwhile, on Sunday night, the bus services made 42 journeys per hour (2800 passengers per hour) between 7pm-8.30pm.